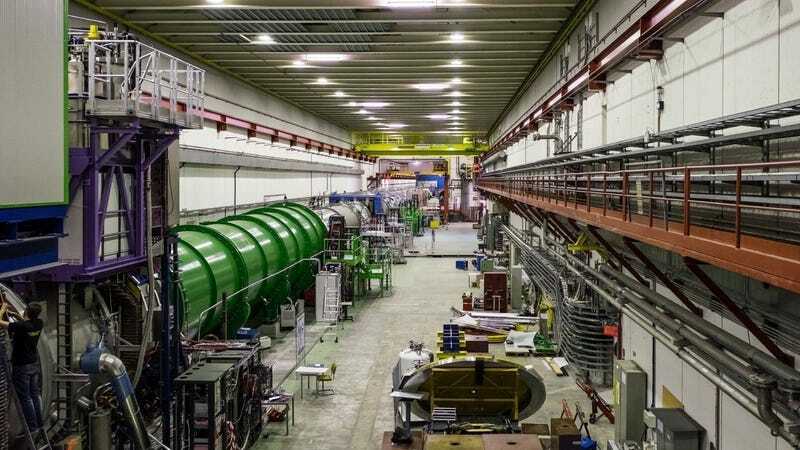 The NA62 experiment at CERN. Physicists in Switzerland are on a subatomic hunt that, they hope, will reveal some entirely new results beyond the limits of their theories. An experiment at CERN in Geneva, called NA62, is designed to let scientists watch a rare kind of particle decay. The team, using a whole new method, may have finally spotted what they’re looking for. You’ve probably heard of quarks, the building blocks of other subatomic particles. There are six: the common up and down quark, the strange and charm quarks, and the rarest top and bottom quarks. Protons and neutrons contain only up and down quarks. The NA62 experiment is essentially a factory designed to manufacture as many of the kaon particle, specifically the K+ variety, as possible. This particle contains an up quark, along with the antiparticle of the strange quark. 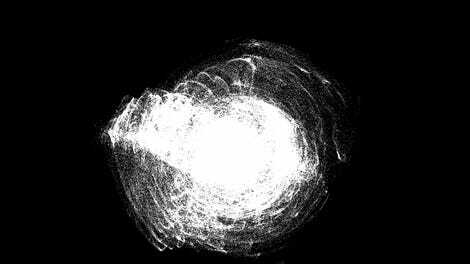 It always decays into some combination of other particles. An especially rare, one-in-10 billion result is that it splits into a neutrino, an antineutrino, and a π˙(an up quark and an anti-down quark, pronounced pi-on.). While the Standard Model predicts that this kind of decay exists, it’s only been spotted a handful of times, at an older experiment at Brookhaven National Lab on Long Island called E949. The team at NA62 thinks they’ve spotted their first candidate, as presented at a seminar Tuesday at CERN. Both E949 and NA62 produce kaons by hitting a target with a beam of high-energy protons from an adjacent particle accelerator. E949 stops these kaons on another detector to measure their decays. NA62 instead passes the beam through a detector and makes measurements while the particles are traveling. The rarity of this decay means that it could be a really good tool to test the Standard Model—it would be really obvious if things were different than predicted. Right now, the Standard Model predicts a 8.4 in 100 billion chance of this decay. Measuring a different frequency definitively could lead to new laws of physics. The researchers spotted a potential instance of this particular kaon decay. Based on their measurements, that frequency would be at most 140 in 100 billion. So the Standard Model prediction fits comfortably in what they actually observed. Additionally, he noted that NA62 has the potential to observe as many as 100 events. Given the one-in-ten billion odds, that could bring the uncertainty in the measurements down by a lot.